Michael Franti believes in using music as a vehicle for positive change. He is revered for his high-energy live shows: a potent blend of rock, folk, reggae and hip-hop that fulfills his mission of making impassioned music you can dance to. Franti channels frustration into music that’s both thought-provoking and triumphantly hopeful. 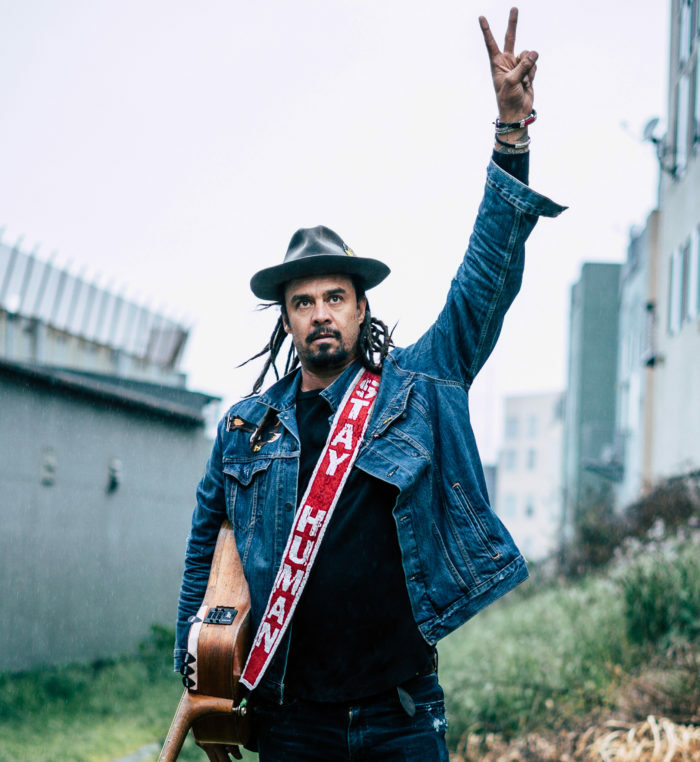 Once an outlier in his message of positivity-minded political consciousness, Franti has found that message gaining momentum in the mainstream in recent years: “My goal is to make the most inspiring music I possibly can for this intense, crazy and wonderful time we’re all living in,” says the Bay Area artist. He is currently writing and recording his 10th studio album with A-list producers, due out in 2018. Giving back has always been at the heart of Franti’s mission. He has dedicated his life to spreading the joy of music and positivity to millions of people. In 2013 Michael and his wife Sara founded Do It For The Love Foundation to grant live concert music wishes to people living with life-threatening illnesses, children with severe challenges and wounded veterans throughout North America. Franti believes that in granting live concert music wishes, he is helping those in need to feel supported, loved, happy and hopeful. Franti is a respected yoga practitioner and is the owner and co-founder of Soulshine Bali, a yoga and wellness retreat oasis in Indonesia. He is passionate about promoting a holistic and globally conscious lifestyle and organizes pre-concert yoga meetups in communities along his tours.